Hopscotch stores brings designer and stylish clothing for your kids. Whether boy or girls hopscotch has a wide collection of clothing's, footwear's and accessories for different age groups. 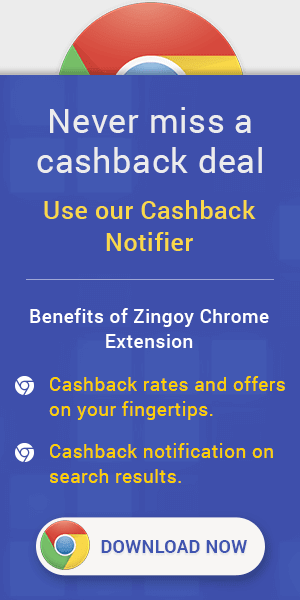 Get the exciting cashback offers on hopscotch by using zingoy coupons or promo code. Hopscotch supports tracking only on Desktop site. Hopscotch Coupons : Now shop for minimum amount of Rs.1500 and above and get Rs.400 discount. Offer is applicable for all users. Apply given coupon code to avail this offer. Products Available In Various, Size, Designs & Colors. 100% Original & Authentic Products. Easy Return & Replacement Available. Hassle Free Shipping. Secure Payments Modes. Hopscotch Discount Offer : Now Shop Kids Cloths at Hopscotch & get upto 70% discount. Shop for clothing for boys, girls and babies. Explore the range of tops, tees, jeans, shirts, trousers, skirts, body suits from popular kids' clothing brands such as Disney, Marvel, Nauti Nati, The Children's Place, Gini & Jony and many more. Shop for Kids' & Infant Footwear from Sandals, Shoes, Flip flops and more from top brands like Barbie, Crocs, Puma, Adidas, Spiderman, Bata and more. Now shop Apparels, Footwear & Accessories for Kids from The Children's Place and get upto 70% discount. Coupon code is not required. Checkout the landing page for more details. Now shop Apparels, Footwear & Accessories for Kids from Carter's and get upto 80% discount. Coupon code is not required. Checkout the landing page for more details. Hopscotch Cashback Coupons : Shop for Baby Clothing, Girls Clothing, Boys Clothing, Maternity Clothing, Maternity Lingerie, Kids Accessories and more from Little Me brand and get up to 90% discount. Coupon code is not required. Checkout the landing page for more details. Hopscotch Cashback Promo Offers : Buy Kids Tops from popular brands like carter's, OshKosh B'gosh, Suppa Duppa, A.T.U.N and more for Boys & Girls. Shop them at Hopscotch and get up to 70% discount. Coupon code is not required. Checkout the landing page for more details. Hopscotch Cashback Offers : Now Get Upto 80% Off On Kids Bottoms Wear from top brands at Hopscotch. Shop Kids Bottom Wear from Formal Pants, Casual Wear, Shorts and more and get upto 80% discount. Choose from brands like carter's, OshKosh B'gosh, TOFFYHOUSE, MiniKlub and more. Hopscotch offers on Kids Clothing: Shops kids apparels, footwear, tops, tees, jeans, shirts, trousers, skirts, formal pants, casual wear, shorts, accessories and more from the top brands like Disney, Marvel, Nauti Nnati, Gini & Jony, Carter’s, MiniKlub and more and get upto 80% off. Browse Store to get all latest updates on cashback offers & coupons. Upto 70% off on kids fashion and clothing, kids bottom, kids Footwear from the top brands like Carters, Oshkosh B'gosh, Suppa Duppa and more for both the boys and girls along with the Hopscotch Cashback. Get 80% off on Carter's apparels and footwear for kids along with the cashback offers using Hopscotch coupons and promo code through Zingoy. Get exciting offers on Next UK for kids clothing and accessories shop from 1000s of kids products online and get upto 40% off on Hopscotch along with extra Zingoy cashback using coupons and promo code.